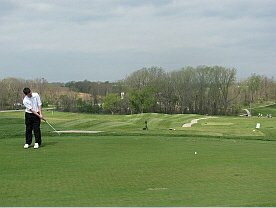 Enjoy a round of golf at one of the premier 18-hole golf courses in Mid-Missouri. Built in 1836 by Swiss immigrant, George Hain, as a symbol of the American dream. Exciting slots and table games, delicious dining, and much more. Until its closing in 1978 it was the oldest continuously used County Jail in Missouri. The original structure was completed in 1848 for $6,091.50. For more than 150 years Thespian hall has captured the vision, the imagination and the essence of the community in which it is built. Guided tours take guests through the world headquarters for the Budweiser Clydesdale breeding operation. This state-of-the-art facility features 300-plus acres of land and more then 100 Clydesdales.